Recently I was excited to review BestMassage power tower and now I’ve focused my attention on the BestMassage Adjustable Weight Bench, since according to my personal opinion, it does not get the attention it deserves. BestMassage is one of the industry leaders because of their high-quality fitness equipment machines and diversified portfolio. So let’s jump right onto the features. The entire frame is made of durable steel, which guarantees (or should guarantee?) a solid construction. 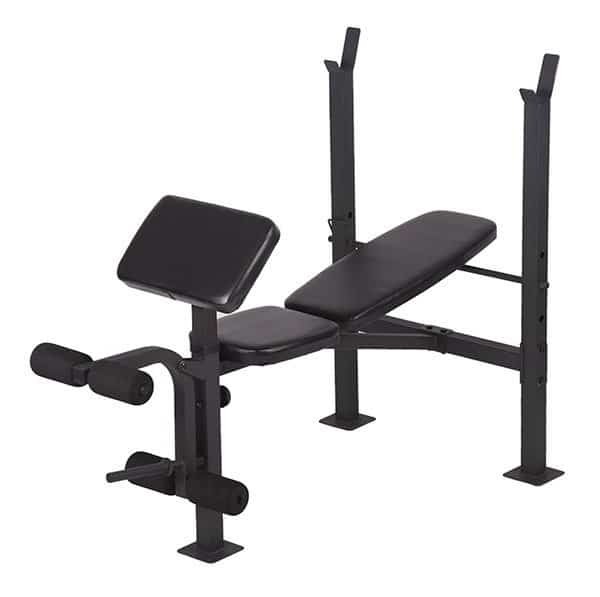 This particular weight bench is a bit different from others adjustable ones, because besides the bench itself, which is made of two pads, the sit-pad and back pad, it also comes with a dual-action leg developer. The leg developer uses two sets of foam-covered rollers for maximum comfort. It also includes its own squat / bench rack. The last but not least feature is the high-density upholstery pad for additional strength training experience. The max user capacity is 330 pounds (150 kg). The dimensions of the BestMassage adjustable weight bench are 59 x 31 x 45 inches (150 x 78.7 x 114.3 cm) and the empty weight is 49 pounds (22.22 kg). Let’s start with the assembly. Thanks to the provided instructions, the assembly is quite easy and doable by one person. It shouldn’t take you more than 90 minutes. The bench feels quite sturdy, indeed, the durable steel does the job. The welds look good and seems to be of good quality as well. Next, the bench itself. The pads are of good quality and are firm as well. This might come as an issue to some of you, who feel more comfortable on softer pads. With of the back-pad is a bit narrow (11.6 inches), though. While personally I do not have a problem with that, bulkier guys might not find very practical. Sometime to keep an eye on. Another thing that is noticeable is the height of the bench. It is about 21 inches, which might be a problem with people with shorter legs (I’d say 5’9” and down). You might need two small stools for your feet, as they’ll be just hanging from the bench. The BestMassage adjustable weight bench’s rack (incorrectly named squat rack, as you can’t really use it for squats in this case) is of good quality and narrow in design. Perhaps little too narrow, although this has not presented an issue for me personally. Honestly I would not even try to use Olympic bars with this bench, only Standard ones. Another good thing is that the rack’s weight is adjustable. The dual-action leg developer is good, I’d say. Not bad, but not perfect either. While the roller pads are comfortable on your legs, which is important, it does not have any adjustable settings. That’s basically all she wrote. I’ll out line both, pros and cons, according to my opinion. 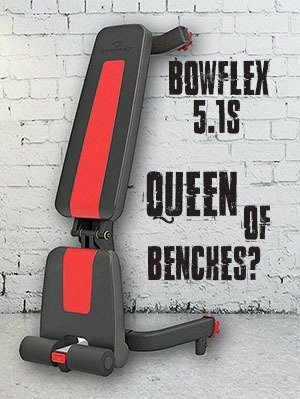 Should you Get BestMassage adjustable weight bench? First thing you should know that you get a LOT for the money invested. It’s not just a bench, but also leg developer and a bench rack. 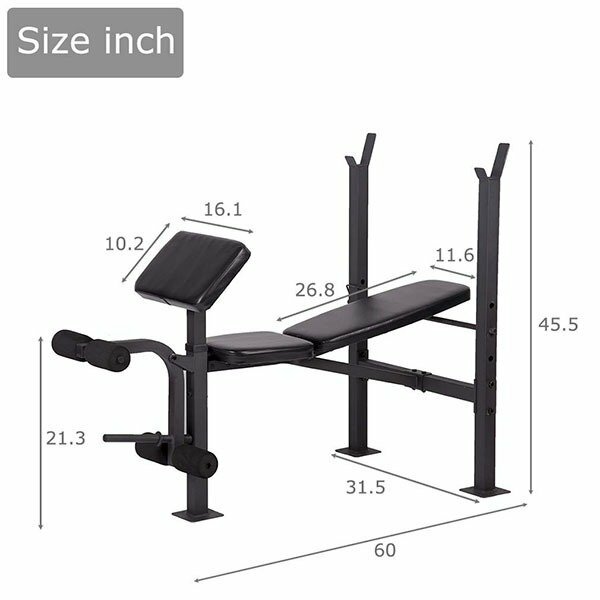 If you do not mind narrow design and the height of the bench, then I’d say BestMassage weight bench is definitely worth the money.